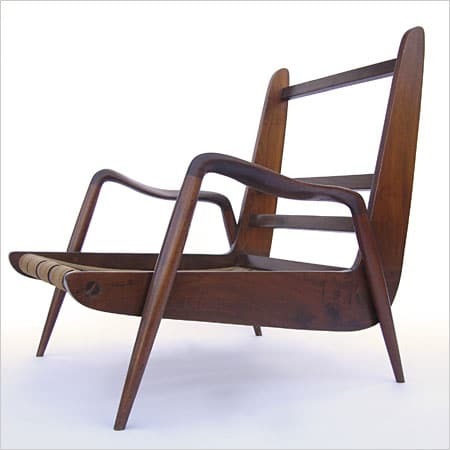 Phillip Lloyd Powell’s New Hope Chair, made around 1960. Mr. Powell’s work has been shown at America House in New York. Phillip Lloyd Powel died in March, but I don’t have to believe it if I don’t want to. Then there is the Frank Sinatra standard: To paraphrase…He did it his way. “And now, the end is here And so he faced the final curtain My friend, I’ll say it clear I’ll state my case, of which I’m certain He lived a life that’s full and traveled each and every highway And more, much more than this, he would say, I did it my way??? Phill did do it “his way?? ?, but he included all of us in his incredible journey. members of our party and spend some time at the bar. He left but never made it to the bedroom of the house he built himself [it’s almost done]. He fell and basically ended his time in New Hope next to that house he adored. He had just completed a three month trip to California, Thailand, India, Italy and Sicily….. He did it “his way???. What could be more fitting? A trip half way around the world a meal with his friends some time at the bar and ending his days at his New Hope house. Phill’s death is a personal loss for so many of us. Sharyn Keiser, Ed Duffy, Laurie and George, Elaine, Terry, Dawn, Marlene, Tracey and me, and almost everyone who walked into his favorite breakfast place. They watched Phill do it “his way???. What a loss for the New Hope Arts community, That long association with Dorsey Redding, Joe Crilly, John Larson, Paul Haus and the memories of Paul Evans, George Nakashima and Elmer Case. What a loss for the New Hope-Lambertville community, Sharon and Abraham, Merle Citron, Janet Cameron and Nancy Anderson and John and Judy and Sherry Baker, his neighbor, friend and client. What a loss for the Princeton area bicyclists who visited him Saturdays at Lisa and Dean’s coffee shop. What a loss for all of our area where Phill was so beloved. What a loss for Matt Damon who became Phill’s biggest promoter. The day Phill died, Matt told me that not only did he love Phill’s work, but that he “loved??? Phill. Matt didn’t have an exclusive on loving Phill. What a loss for the gang and Sunday brunch club at The Café at Rosemont where Phill peddled his bike up that hill well into his late eighties. What a loss for the Rago auction crowd where Phill was an often-present celebrity, we used to tease him as being “a legend in his own mind.??? Upon asking him how he felt about his 1950-1960’s furniture being sold at such high prices and him not reaping any of the profits, Phill replied, “what’s the difference, I would have spent the money anyway.??? Phill’s “modus operandi ??? was to get a commission and make enough money for a trip. Phill went around the world dozens of times. Often he left on a trip using the cash he received as a deposit and made the item when he returned. He did that “his way???. On his last trip, in February 2008, he paid for his lunch with a credit card in Italy. The cafe owner recognized Phill’s name on the card and told him that she had purchased her favorite piece of furniture from Phill. While in India, he visited a school that he had endowed. His legendary generosity spanned the globe. What a loss for the New Yorker Magazine that he devoured from cover to cover on a weekly basis. included a beautiful sunset….the lyrics of Cole Porter [he had to explain to me what Porter meant when Porter wrote: “Lina..Still peddling your pizza in the streets-a Toremina???? ]….For Phill, it didn’t get any better than the singing of Willie Nelson [especially “On the Road Again??? ]…It didn’t get any better than the sun setting over his beloved Delaware River where he told Lita that he had been all over the world, but it doesn’t get better than this???. …a Maria Callas or Rene Fleming opera performance…. a Sushi meal….dancing Disco [and could he dance Disco] and a good work of art. He admired many other wood workers. Especially Wharton Esherick and Phillip Lloyd Powell…I had to throw that one in. He was influenced by the works of Wharton Esherick and Carlo Bugatti, among others. He loved the Michener where he did the ground-breaking shovel and a rather distinctive bench. He loved eating at other people’s homes and even loved visiting Joan and I although we once served him chicken. Phill liked almost everybody. Phill did not like chicken. course, I wouldn’t…??? he said, if I get sick, I’ll get sick. What’s the difference with being sick in Italy or New Hope? If I die, I die. What’s the difference between dying in India or New Hope???? Try arguing with that. I went to see him because in case he didn’t come back I wanted to say goodbye. He came back. He did it “his way???. We had a few good weeks together, we said goodbye in our own way and he left us “his way???. I will never forget him. None of us will. Phill touched everybody at our basic core. We all want to be loved for who we are and we struggle to be our own person. Every day he lived his life being his own person and gave us courage to do this ourselves. The wild-colored scarves, the yellow rubber sandals, the single earring often in the shape of a wood worker’s tool, the funny hats, the overall presence when he entered a room and the thousands of people who came to pay homage to him were all part of Phill Powell being Phill Powell. So many people [to this day] say how they miss seeing Phill walking across the New Hope-Lambertville Bridge. He would have smiled when the usually flawless New York Times mistakenly wrote that he sold Herman Miller lamps. We knew they were Howard Miller lamps. Right, Phill? As we prepared for this gathering, his friends brought in photo after photo. You know what? We don’t have one photo where our guy is not flashing that wonderful Phillip Lloyd Powell smile!! in the hearts of everyone in this room. To all of us he was a role model. Some of you may remember “My Most Unforgettable Person??? as a Readers’ Digest feature – stories about extraordinary ordinary people who had a profound impact on those around them. Phill was “My Most Unforgettable Person??? and probably yours. I, personally, have lost my best joke audience of one. He was so easy; he would laugh at the same joke that was told to him about 45 times. That was “his way???. So long good buddy. You know what? I like “your way??? and always did. Thank you. How lucky we all have been to have known and loved you. I was born in the Germantown section of Philadelphia in the summer of 1919. I was a language major in high school–French, Latin, and some Spanish. My father had his own store selling men’s clothes, but it failed during the Depression years because it was a luxury business. My mother had her own dressmaking and designing shop. Between the two of them we were able to scrounge up enough money. We also had wealthy relatives who helped us out. People were kind to one another because everyone was more or less in the same boat. Even rich people lost money. Although I had no training in woodworking, it became my hobby. The guy who lived next door to us was an engineer whose hobby was working with tools. I would go over to his place and try my hand at making things. I made a puppet theater, and refinished furniture. The first piece I ever made and signed was a cedar chest for my sister in 1938. When I was about 15, I made my bedroom furniture, in a nautical theme, made all with hand tools. Later I got into refinishing antiques and remodeling furniture. We would go to New Hope. It was a Mecca for antiques, even in the 1930s. We bought my sister’s bedroom furniture in Lahaska in 1938. My family was incredible: they allowed me to follow my bent. When I was 14, I decided to take down the paper from the walls of my room. A neighbor asked my mother, “How could you let him do that to your house???? She replied, “It’s his room.??? To her, it was simple. She allowed me to be myself. My sister is also bright and artistic, but we’re completely different. After high school, and I studied for a year at Drexel Institute of Technology as an engineer. I couldn’t afford to go back the second year. Through a neighbor, I found work as an engineer. Jobs were very difficult to find. When I turned 21, the U.S. Government was experimenting with a military draft. World War II was in the wings. It was the summer of 1941. There were anti-war sentiments in America, especially in the Mid-West. The war started in December 1941 with the bombing of Pearl Harbor. By then I had been drafted into this experimental group, into the Air Force. The Air Force was very young at the time. America had decided it needed an air force, to fight Germany which was using bombers, and to help England, which was also using bombers. They reserved spots in the Air Force for boys who had volunteered and had at least graduated high school. They were trying to make it a little elitist. At the base where we assembled, they gave us no training at all. They just wanted to get us on the roster as part of the Air Force. They put us on the train and shipped us to Texas, to San Antonio. I remember getting off the train and seeing a 360 degree horizon for the first time. Being from the East, there were always trees or houses in the way. In Texas you could turn 360 degrees and see the horizon every way you looked. It was incredible. We were only supposed to be in for six months, but they decided to make it a year. They weren’t getting much out of us in only six months, especially the way the army worked, a big, lumbering bureaucracy. The Japanese bombed Pearl Harbor while I was on vacation in my 1939 wood-paneled station wagon. My parents had brought it down to me in Texas. I had stripped the wood down with paint remover, bleached and varnished it, and I reupholstered the seats using my mother’s sewing machine. The car was in mint condition. One weekend, three friends and I went in my car to Piedras Negras, this little honky-tonk border town. We were wearing civilian clothes. One boy, like me, was a little shy and hadn’t been around too much, but the two other boys were from the Midwest, and had been around. They were more savvy with girls and things. They had talked the two of us into losing our virginity at the bar that night. The next day we drove back to the base in San Antonio, and the news came over the radio that Pearl Harbor had been bombed. At the time, nobody knew where Pearl Harbor was. It was as if it didn’t even exist. When we got back to the base, we had to go through all sorts of security to get back in. In two days, everything had changed. We quickly figured out where Pearl Harbor was, and we knew we were in the service for the duration of the war, however long it lasted. I saw a notice that said if you were interested in math and had any background in science, you could take a test to become a meteorologist. At that time meteorology was new. I mistook it for mineralogy at first. I didn’t know the difference. I thought I was going be studying rocks. The test was easy. I passed and became one of the first people to study meteorology for the military. They sent us to, south of Chicago. At the time there were only two people in the country teaching meteorology, one in Berkeley, and one at the University of Illinois, near Chicago. Being from the East, they sent us to Chicago. It was a six month advanced crash course, and they crammed it into us morning to night. There was a lot to learn, but it was new to everyone. When I finished, I was sent to San Antonio to teach aviation navigators about the weather. I had a fight with the head colonel after they gave everyone in the base a test to continue you’re their education. I got a fantastic mark, and I should have been able to go to college, but the colonel said they had already invested too much in me. When the next draft came up, he had me shipped out. For about two years I was in England where I became a meteorologist with the 8th Air Force. The Germans were saturation-bombing England. In 1943 we landed in Wales and then went to Petersburg in Central England, but the bombing had stopped. I guess they really didn’t have to fuel and bombs to do that kind of saturation bombing. I was there roughly two years. Intelligence probably had figured it out that they were ready to be attacked because the bombing had stopped. Weather, thank God, moves from west to east, so we could tell what the weather would be before it got to England. The hard part was the fog. England has terrible fog. It wouldn’t lift until 11:00 in the morning and would come back at 4:30 in the afternoon. The pilots had to have time to take off, do their bombing, and come back before it closed in again. It was touch and go, so the meteorologists were very important in that aspect. We had no authority to stop anything, we were just advisors, but they usually took our advice. After the bombing stopped, it was like I died and went to heaven. While most of the people were only allowed one three-day pass a month, we had fifteen days. We had our own passbook, and every three days, I’d write myself a new pass. We had free railroad passes anywhere in the British Isles. I went to the theater in London. There were shows going on during the war, during the bombing, to make people feel good. I had quite a big family over there, because my father had been the only one in his family who immigrated. We were only allowed to leave London if we had relatives, so it was very fortunate. My uncle sold china, and when he retired he moved down on the south coast, about 40 miles from London. There was a resort at the very end called South End, which was very honky-tonk. He developed a territory between there and London, and became a very successful real estate operator even after he retired. They had money, a car, and black market gasoline. I drove around in the car, and my cousin introduced me to girls who I went on dates with. We had a lot of fun, but I had to wear civilian clothes. They didn’t want people within 10 miles of the coast in uniform, because they felt that spies would see if too many military were getting near the coast. It was like I was on a vacation while they were looking for Private Ryan. A friend was at another base where Jimmy Stewart was a flyer and he actually went on missions, and I saw him come back from a mission where lots of planes were shot down. He was for real. We saw that there was a drought in America, and figured out when it would get to the British Isles, so we took a recreational leave to Northern Ireland, and did a bicycle tour. It was the driest weather they’d had since 1929, so it lucked out for us. It rained a couple of days, but that’s the price in Northern Ireland. On D-Day I could have been on leave, I could’ve been in London, I could’ve been riding horses, I could’ve been down at my cousins, I don’t remember the actual day. In retrospect I knew it, but they didn’t advertise it, so it just happened and it spread around by word of mouth. Before that, I knew something was up, because they were robbing the air force. As course or crass as it sounds, they needed bodies. It was that awful. The roll of the dice between me being in meteorology and me being in something else kept me from going. They kept me in four and a half years. The service is such a bungling bureaucracy at its worst. The only reason we win is if we have more gasoline or oil, bigger weapons, or just more bodies, that’s the way we won, not by any cleverness, or military genius. It’s where the Peter Person applies, where the dumbest rises to the top. It’s unbelievable. When I got out I was sickened and I said I never want to work for another man the rest of my life. So I gave myself three months vacation, and a three hour lunch or breakfast every day. I spent the three months traveling. In the 1930s there was a news story about the son of a band leader. He tried to get back in the United States without a passport. He wanted to be a man without any identification. He said “I’m a person. I’m not an American, I’m not a Frenchman, I’m not anything I’m a person, so why should I need a passport???? Right away I decided I wanted to be like that. I like traveling because when you travel, you’re nobody. I’m not a craftsman, I’m not a New Hopeian, I’m just this person. I like that. You’re accepted by how you react to the person, not by fame or looks, just by who you are. While traveling, I dreamed about New Hope. I decided I would build my house. I had about $3,000, which was a lot of money back then, like about $30,000 now, maybe more. I bought a Ford pickup truck right out, and I bought an acre of land, right near the Best Western. There’s a place called Country Row, and I build the center building of that for my neighbor much later. Next to that there’s a place called Trappings, and an oriental lamp place, and there’s a hexagonal building attached. I built that in 1947 by hand on weekends. I got a job as an engineer once I got out of the service, to make some more money. My best friend had preceded, something showed up on his lungs at the service for examination for the draft, and they wouldn’t draft him. He got married and proceeded to have kids, and he had 15 kids 13 months apart. He stayed and graduated Villa Nova, and became an engineer. He had a big important job in charge of personnel for a company that catalogued parts. He told me, “You can do the job, I’ll hire you. I know you can do the job so I’ll hire you.??? So again through nepotism again I got a job. He hired me as a full fledged engineer because he knew I could do the job. In engineering they don’t tell you to go build the Brooklyn Bridge, you sit at a desk and you have a little tray of papers that tell you to look up something or do something. It’s like so many jobs you can get in, and if you have any intelligence or just apply yourself and you can do the work. I would come down to New Hope building on weekends. For fun I’d go swimming at the old swimming hole on Mechanics Street. I met George Nakashima there. Everyone would gather there on hot afternoons. In 1947 I found the Canal House, which was the music spot and restaurant. The guy who ran it had incredible taste in music, and he introduced me to a whole genre of music I didn’t know. I didn’t know Cole Porter, or Irving Berlin and all that music, so he introduced me to Bart Howard, and Kurt Weill or all those people. It was the first time I ever saw black and white people literally socially together or kissing, I never saw that before. There were gay people and straight people, people in evening clothes, people in dungarees, and it was the only game in town. It lasted probably until about the middle sixties. Over the years it changed, and other people came in, and people started to polarize. Before then you didn’t polarize because you couldn’t. It was there or not. There was a couple of local bars that people went to, but they’d still come to the Canal House, because in the evenings, Nina Simone came through there, Bert Bacharach, theater people, Grace Kelly, authors, Bud Schulberg, Moss Hart, Kitty Carlisle, it was like a potpourri of everyone in the area. New Hope was very free; the policemen were all local guys. One of them was like something from a comic book. One time he was in a police car and he was giving a ticket on Ferry Street. He stopped his car on train tracks and while he got out of the car to give the ticket, a train came by and totaled the car. I had my own parking place by the shop. Across the street was a parking lot. I bought a Morgan sports car, and I parked it in my spot, and a cop came by and was giving me a ticket. I said that this was my parking place, and he said “No, you have a station wagon.??? I said “Yes, I have a station wagon too.??? And he said “Well, you’ll have to have another parking space for it.??? And I said “I can’t be driving two at the same time!??? This is how bright they were. There were no street signs; you could park anyplace because there were no parking meters. There was a couple of eating places, all individually owned, and all by people with personality. They weren’t just in business. It was creative business. People were not in business to make money; they were in business to live. It was completely different from bottom-line business, which most of the places are now. Now they come down and see dollar signs. Then it was completely different, people were escaping from that kind of life. I decided that I had to either make up my mind and either become an engineer and do woodworking part time, or am I going really do it. So I figured I needed at least $25 a week to live on, because my house was paid for and taxes were practically nothing, I could live in the house as I was finishing it, like I do now, like every place I’ve ever lived actually. So I took a job at the Canal House on Friday and Saturday nights, to see if I could make my $25, and made forty, so I was way ahead. I decided to do antiques. I had a few pieces, mostly contemporary lamps and antiques, what a combination. I didn’t have tools, so I could just make small things. I opened my shop in 1951, and never had to turn back People just started buying things. A friend of mine had a contemporary furniture store in Philadelphia. At that time, most of the contemporary furniture people with good design weren’t making enough money, because it still was rather rare to have downstairs stores, so they didn’t get a lot of traffic off the street. I had a big show room, so he gave me stuff he couldn’t sell. We were on the main road between Philadelphia and New York, so people from the West, designers, would see my show room and they had never seen the furniture that saw in magazines and things. I kept the showroom lighted all the time, and I’d come home from the Canal House maybe 1:00 in the morning and people would just stand there looking at the window. Later I hooked up with a guy who wanted to design a line of do-it-yourself furniture. So I did a little line, and he said “Why don’t we sell it, get a show room in New Hope,??? so we took a place in new hope in 1953, and we opened a big shop at the foot of Mechanics Street, at the exorbitant sum of $47 a month. I was only open from 8:00 till 12:00 Saturday night, because I had to make the stuff back on my show room up on the highway. After about three or four years, in 1956, a guy stopped down who had gone to the School for American Craftsmen, he was a Silversmith named Paul Evans, now he’s very known and very collectable. I taught him to make furniture, because he couldn’t make a living hammering out tea pots and things. He made metal furniture, very unique, good designer. After my father retired, I brought him down, and he ran the business end of my business. By then I was very busy, so I hired people to help. I had up to eight people one time that didn’t work very well, so I cut back to three people, which was the ideal. After working that way for about 25 years, I really wanted to change. I was tired of doing the same thing that long. I had never given the thought to being collectable, I had just done my stuff, I enjoyed going to the person’s house, I enjoyed talking to people, I enjoyed making something for them, and I enjoyed delivering it. I liked the whole package. And my associate who did the metal furniture hated all that. He didn’t really want to do the work, he hated delivering it. In the meantime, we had taken a second showroom near where the up where the Gratz Gallery was. So I had the one on the highway, the one on Mechanics Street, and the one in Gratz Gallery out by the Best Western. So I said to Paul, “Which shop do you like the best???? “Which shop do you like the best???? He said “I like this one.??? And so I said “Ah, I like the one on Mechanics Street. Let’s part.??? I said “Let’s part.??? I had decided that his stuff was more exciting looking than mine. Mine was little more conservative. (Not now, then.) He was shocked, but by then he had connected with Drexel and was manufacturing for them, and he needed more money because he had kids, and he wanted to send them to a better school, and he had a second wife who was more demanding. I went back to the small place. But I didn’t stay very long. A guy from the environment gallery in New York near Bloomingdale’s, 205 East 60th said “I’ll give you a one-man show.??? So one day we packed everything up in a U-Haul, and took it to New York. A couple years later I went to Spain. I got rid of everything and sold the place on the high way. Friends of mine had moved over to Spain where there were these deserted buildings. The government figured that since foreigners were buying in Spain, the local people weren’t getting anything. They figured that about if 35 foreigners were buying in a town, they would then hike water from the well or spring or fountain and modernize the homes, and hire local people instead of foreign companies. Friends of friends of mine saw this ad in a magazine printed in London aimed specifically at English people. A young man who had lived in Spain and was working in London had put an ad in the paper advertising free land and a free house to the first 35 people who would buy them to help his family and friends still in Spain. My friends Enrique and Silvia saw the ad and Enrique said “Hey, I speak Spanish and you speak Italian, let’s go down, take a vacation, and see what it’s about.??? They went down and sure enough they were giving free land and buildings. Enrique took a house on the top of a hill and called it “La Palacia??? (the Palace). They modernized it a little bit and Enrique and Silvia started living there full time. Silvia had a friend and he went crazy with the place. They dynamited out the rock, and it was going to be a swimming pool, but it ended up being a bathtub they ran out of money before they finished. The houses continued developing, and they made studios and guest rooms, and it barely cost anything. You could hire a guy for three dollars for the whole day to work. Good craftsmen were down there. Then friends of mine went over and bought. By then you had to buy the land. The 35 foreigners were mostly English people connected with Silvia. Now they decided that it was getting too crowded, so they all built second houses in a little mountain top. I came in to visit and they talked me into buying a place. I was traveling to different places at the time and I had stopped to see a friend who moved over there, and she talked me into buying a place next to hers by the mountains. Soon a recession came and the government stopped building. I bought an 11 room house for about $1,300. Not thirteen thousand, thirteen hundred, but it needed everything. After the recession, Spain went into a period of prosperity and the government changed. Now instead of three dollars a day they were getting three dollars and hour. There was still no restaurant in town, and there was still no water, and I got restless. It just didn’t suit me. I like traveling, but I felt obligated to be in America. I found that in Spain all the English speaking people came together. You never learned enough Spanish to speak deeply with anyone, just with someone in the store who was waiting on you, you knew a little Spanish, they knew a little English, but you knew about the same words, so there was never anything deep. You never had real friendships. It was always polarized. And there was a lot of drinking, since most people weren’t working. I had been away just about five years, so I decided to come back to New Hope. I was escaping from the corporate world, and most people were escaping from the city or something. There was a coffee shop called Mel’s Coffee Shop. The guy had the most taste. Traveling all over the world for 60 years, I never met a guy who owned a coffee shop who had more pizzazz to him. He had never traveled; he just stayed around Lambertville all his life. He just had some innate sense. It was an outdoor place, which you weren’t allowed to have in New York. Almost everybody in town was a character, because no one had been in straight business. Business very individual and the rents were almost nothing. I had a huge shop that I only paid $57 a month for. The people were more creative and it doesn’t make it better, it just suited my personality. Now it’s changed completely, but I’ve been to many places in the world, notably a place called Taormina in Sicily, and that changed the same way as here. Even the little town in Spain I had finally developed. The $1,300 dollar house I had now goes for $75,000 last time I heard. It’s changed all over the place. People travel more, so there’s no place kept secret any more. When I came back my ex-apprentice had saved me a lot of tools and things. I found little different places to stay until I found the place I live in now about five years later. A friend of mine brought it together, it was two addresses. We found out that it really wasn’t two houses, it was a house and an apartment. So I took a third of the main building, which was like a one bedroom apartment. In our original deed I had permission to build on the back. I first built an 8X8 square tower on the back of the old building, and then I built the house I live in now. A couple of years ago I got a call on the phone and somebody says “You don’t know me, my name’s John Sollo. I was at a show in Chicago recently, and I saw two chairs and saw they were by you, so I looked you up and I just wanted to tell you they’re two of the most beautiful chairs I’d ever seen.??? That’s nice to hear, what do you say to someone you don’t know, and they’re doing nothing but compliment you? So I said, “Oh, good, what kind of show was it???? He said “An antique show.??? So we talked for a little more and hung up, and I said, “My chairs are at an antique show? I am getting older than I thought.??? It turned out he’s in with a guy named David Rago now, and they have an auction house and they go on the antique road show, and he’s an authority on pottery from the turn of the century, and John Sollo has come in with him, and he’s in furniture from the ‘50’s. So he included me and about five other people in a book he wrote and he says good things about our work. I was working for this customer in Maryland, and I delivered this piece to this old Tide-Water Plantation. The owners must be loaded. So I come to deliver the piece, and they surprise me with lunch on a table I made for Sheri Lewis. They had bought it from her when her husband died, so I had dinner with Sheri Lewis and her husband on this table in New York, I had dinner on it with them in Beverly Hills, and then I was having lunch on it in Maryland with my newest piece right behind me. Isn’t that bizarre? They took me to this one room they call the Phil Powel room. They have five of my pieces there. They have more of Nakashima’s pieces than anyone else. That kind of connection I like. I would like somebody to come across my work and say “Who the hell did that???? I like to not think that I was so uncreative that everything I made looked alike. I’d like to think that it showed my hand. Maybe it’s laziness, maybe it’s lack of concentration, but I’m not as interested as it being perfect as it being interesting. I would like to think that people wouldn’t want a set of mine, I’d like to think they’d like and individual piece. I’d like my pieces to be accents, not looking like a set. That’s hard to do because you work within a certain element. I do an awful lot of handwork, so many of my pieces have evidence it. Maybe the two arms of the piece don’t match exactly, because they weren’t measured, they were sighted. My theory on that is that people aren’t symmetrical. Your two arms are different; the two sides of your face are different. I think that that goes to create an artistic piece as opposed to a mechanically made piece. In the mechanical process, it brings something different, but you loose a little of the soul. It’s like that even in acting. I was able to see Laurence Olivier when I was in London, and every part he’d do, he’d always change his nose. If it were an 18th century thing, he might to a little turned up nose. If it were doing a more peasanty thing he might do a broader nose. If he were doing a Greek thing he might add a Greek nose. Very few others changed, but he’d always change the nose, and I always thought that that lifted it a little bit. In English theater, there’s always a little exaggeration. They bring a little much as opposed to doing it straight, and I always brings things a little out more. They use people with defects. American theater has all pretty people who do all kinds of parts without changing them much. The theater there is a little more real. I think that goes to furniture or anything. My stuff is already being sold at auctions, and I’m not bringing really terrific prices. One reason because I’m alive. Another reason I’m not bringing in enough is because the pieces are more unique. I have a dozen customers who I’ve been working with for 40 years, and there’s another generation who I’m making chairs for now. I’ve done work all over the country. I haven’t done a lot in Bucks County, because people here are more interested in 18th Century or Colonial furniture. A lot in suburban Philadelphia though, and in suburban Maryland, and in New York City. A couple people out in California, some in Florida, some in New England.